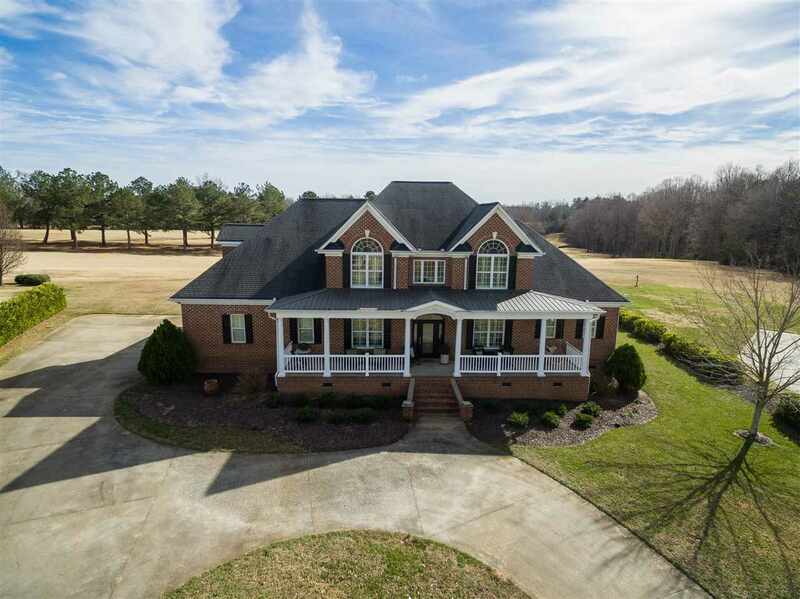 You will love this beautiful all brick home and awesome views at the Links O&apos; Tryon. Enjoy a relaxing morning or afternoon on the front or back porch. This 4BR/4.5BA home is overflowing with beautiful features. As you walk into the foyer you are welcomed with hardwood flooring that flows thru out the main level and leads you to a beautiful floor to ceiling stone FP w/gas logs and built-in shelving. Enjoy cooking while spending time with friends/family in this bright kitchen with white cabinets, granite countertops and stainless appliances. The kitchen also comes equipped with a trash compactor, convection/microwave oven, a large 3 tiered lazy Susan and pull out cabinet shelving. The master BR is on the main floor, opens to the back porch and has two walk-in closets. The master BA features a jetted tub, separate shower and two separate vanities. A large DR, LR/office with wet bar, mud room, and laundry room also occupy the main floor. All three bedrooms upstairs have their own bath and walk-in closet. The bonus also has a walk-in closet and access to a bath. There are two attic storage areas, one pull down and one walk-in. The house is wired for sound and wiring is available. Other extras include plantation shutters thru out and a 3 car garage. Nearby: Landrum 6 miles, Tryon 10 miles, Tryon Equestrian Ctr 20 miles, Greer/Wade Hampton Blvd. 16 miles.